County Offaly is in the heart of midland Ireland just two hours drive from Dublin. The border to the west of the county is defined by the River Shannon and is home to many pictureque villages including Shannonbridge, Shannon Harbour and Banagher. There is an internationally renowned monastic site at Clonmacnoise also on the River Shannon, while the small town of Birr is home to Birr Castle, famous for its gardens and the Great Telescope that is now restored to its former glory. The county town of Tullamore is the principal golf accommodation base. 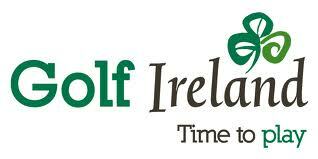 Tullamore Golf Club is a fine, mature parkland track designed by James Braid. Nearby is the newer course at Esker Hills, a supeb golf course designed by Christy O'Connor Jnr. that gets our vote as the best parkland course in Ireland. See also our region guide to midland Ireland or visit the County Offaly tourism website .